Benefits: anti-inflammatory, vasoconstrictive, soothing, antiseptic, spasmolytic, antimicrobial and regenerative action, antioxidant. Usage: Used in natural remedies or cosmetic procedures. The St. John's wort essential oil soothes the reddened and irritated skin. 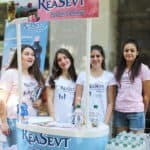 Accelerates the process of skin regeneration. It is useful for scratches and wounds for faster recovery of skin integrity. The St. John's wort essential oil has a beneficial effect on all gastrointestinal disorders and diseases, soothes the nerves. It works pretty well in sports injuries and injuries. Mixed with base oil is often used by athletes for restorative massages of muscles, tendons and tissues. It is used for swollen limbs. St. John's wort essential oil recommended for heart problems, especially for high blood pressure, as it supports the work of the heart muscle. Extremely useful when applied to wounds or rubbing on varicose veins. 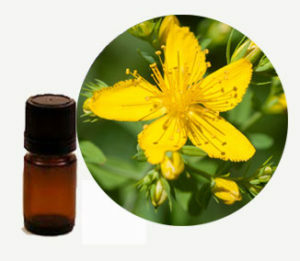 The St. John's wort essential oil has the natural ability to reduce the tension of the skin, helping her turgor and tan. It is recommended to soften and restore the epidermis and to restore its elasticity. Contraindicated for: Do not use internally by young children and pregnant! St. John's wort increases the sensitivity of the body to ultraviolet rays. In use and better refrain from long exposure to the sun. St. John's wort oil is contraindicated for the combination of antidepressants, because of their action.